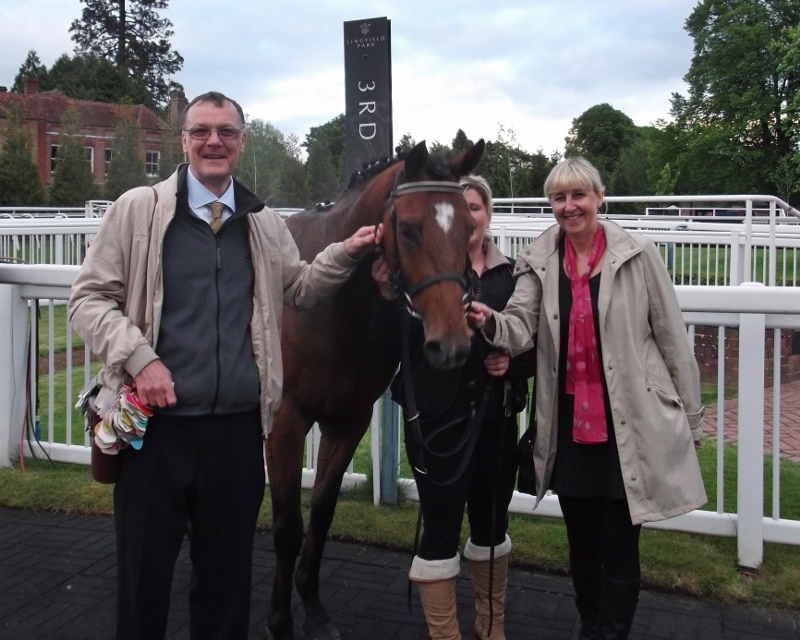 Linda sent two horses to this evening's Lingfield Park meeting and what a thrilling time their owners had. 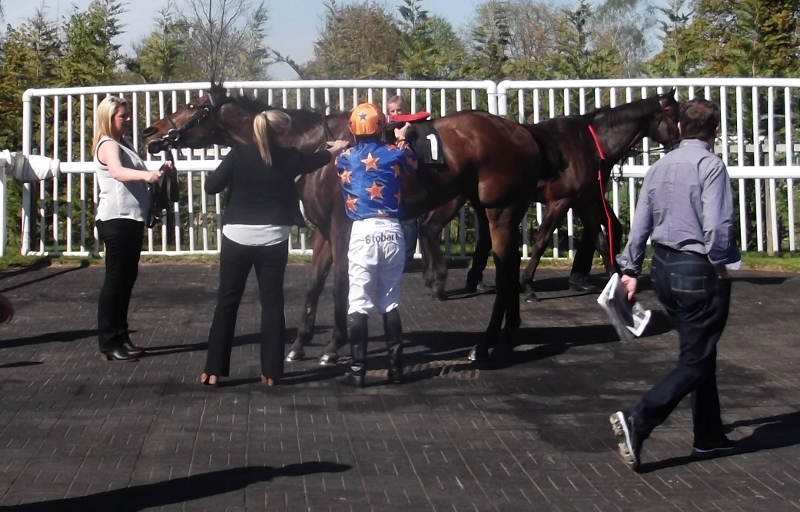 First Strategic Action came an agonisingly close second in a 7 and a half furlong handicap. The heavy rain that fell to within an hour of racing made Linda hesitant about running on the turf course and from a poor draw away from the better ground. Robert Havlin elected to move across gradually rather than try to zoom out and cut over to the stands rail. He then travelled in midfield to half way before making progress to lead 100 yards from the line. He looked all over the winner but was caught by the fast finishing favourite to be beaten by the shortest margin, a nose. In the next race Running Bull finished in the frame for the first time. Over a mile and a half, much further than his previous runs, he was steadied by Robert Havlin at the rear of the 6 runner field after pulling hard for the first couple of furlongs. 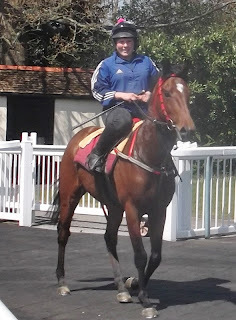 From there he travelled easily until starting an effort 3 furlongs out. He was pulled wide for a clear run coming round the bend into the straight and although he couldn't reach the two leaders, he showed determination to see off his other rivals and finish third. Spirit Of Xaar had a promising outing over hurdles at Huntingdon today. He raced prominently, only fading in the finishing straight to finish a pleasing 4th and earning a couple of hundred pounds towards his keep. It would be no surprise to see him make a successful career over hurdles. Shannon is having a rocking good time in South Africa. The training regime is certainly different; many strings on one site, treadmills, faster work, grooms to warm up horses for work riders and much more. You can read a full account on Shannon's blog. 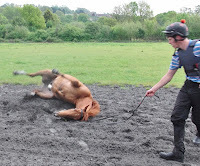 Meanwhile some of the horses at Southfield have been able to relax after work by having a roll on the track now that it is dry and dusty. 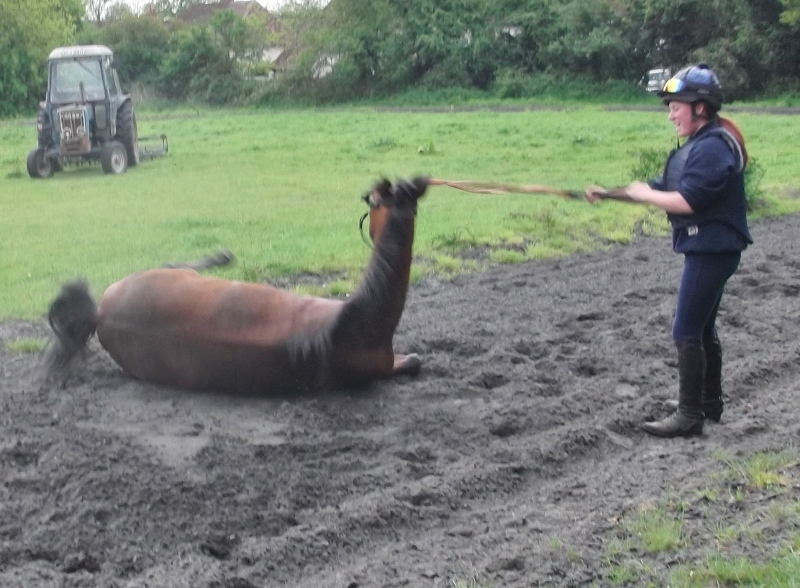 They obviously enjoy it and it is very happy horses that walk back to their boxes. 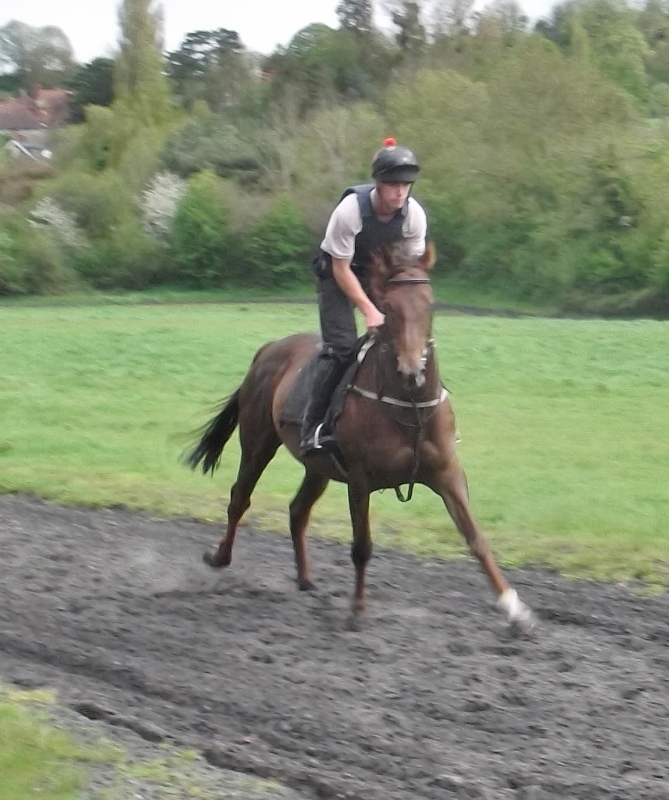 Clonusker won his first bit of prize money today when finishing 4th in a handicap hurdle at Fontwell. 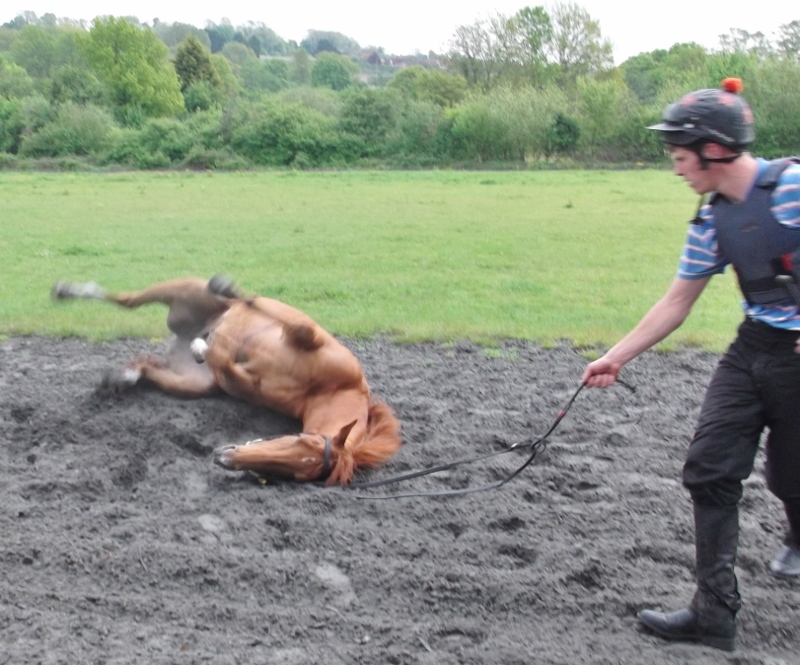 Having shown little in races so far it was a reward for Linda's perseverance, patience and faith in his ability. Hopefully it will be onward and upward for him from here. 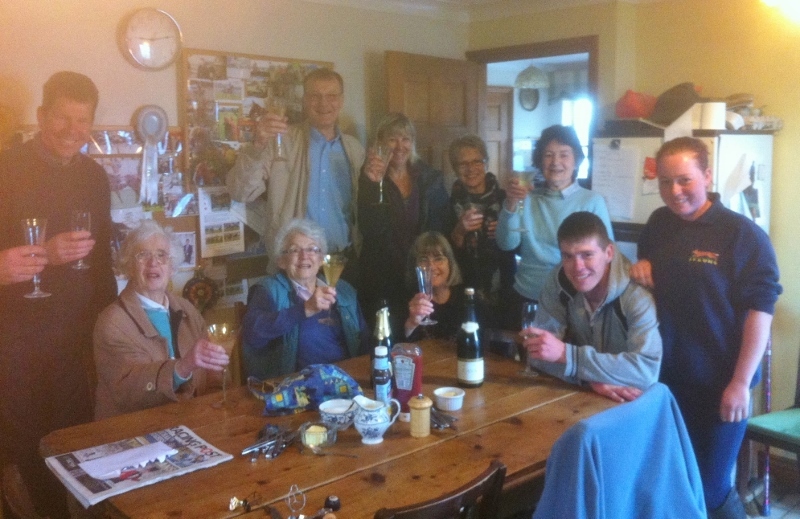 The Saturday breakfast regulars enjoyed another champagne morning to celebrate Kingscombe's midweek win, even though none of them is his owner! A pity owner Peter Oppenheimer couldn't be there to share it. Also rapidly devoured were some scones with lashings of clotted cream courtesy of Red Anchor owner Sally Stanier's recent visit to Devon. Work with the horses was not compromised, as can be seen below where She's Humble canters on the track. 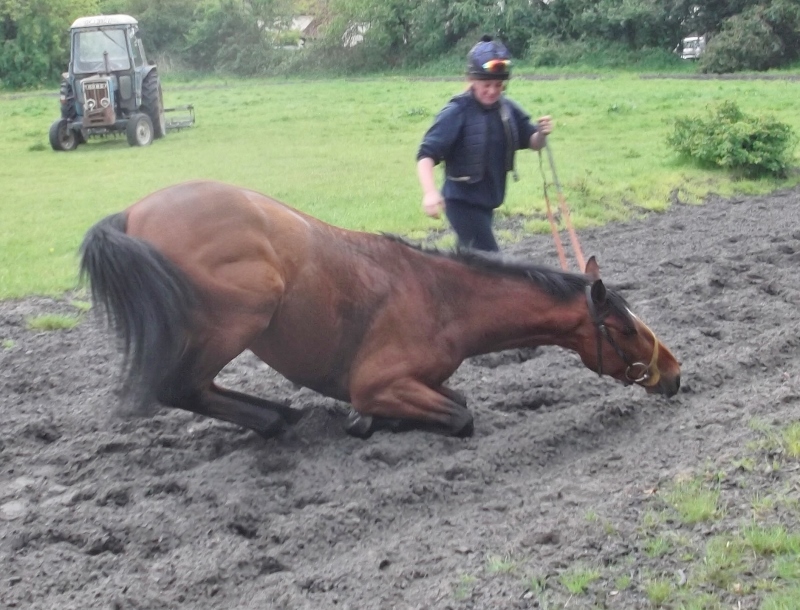 Kingscombe, ridden by Steve Drowne, landed someone's gamble (12/1 in to 7/2 jf) on the fibresand at Southwell today. He was reluctant to enter the stalls, dropping the jockey once, but when finally in he overcame a poor draw to make early progress and lie up on the outside of the two leaders. 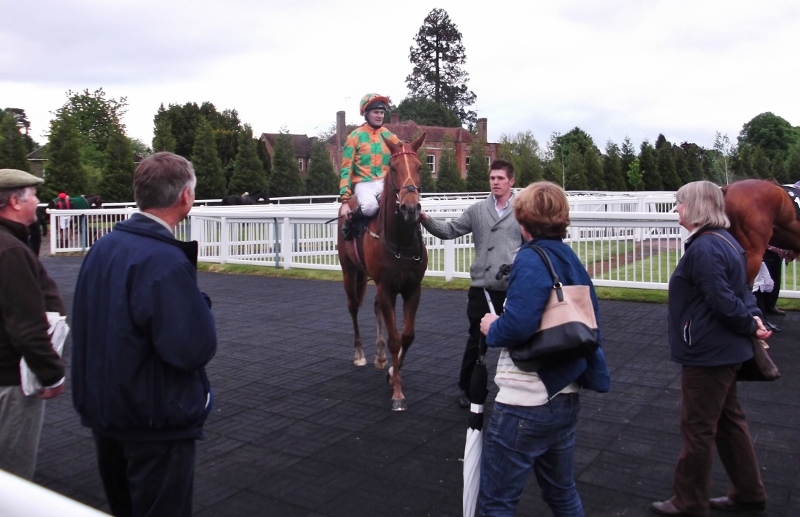 This brought him up the favoured centre of the track entering the home straight and he took the lead 2 furlongs from home. He kept on galloping and could be called the winner a furlong from home as nothing else was making inroads. 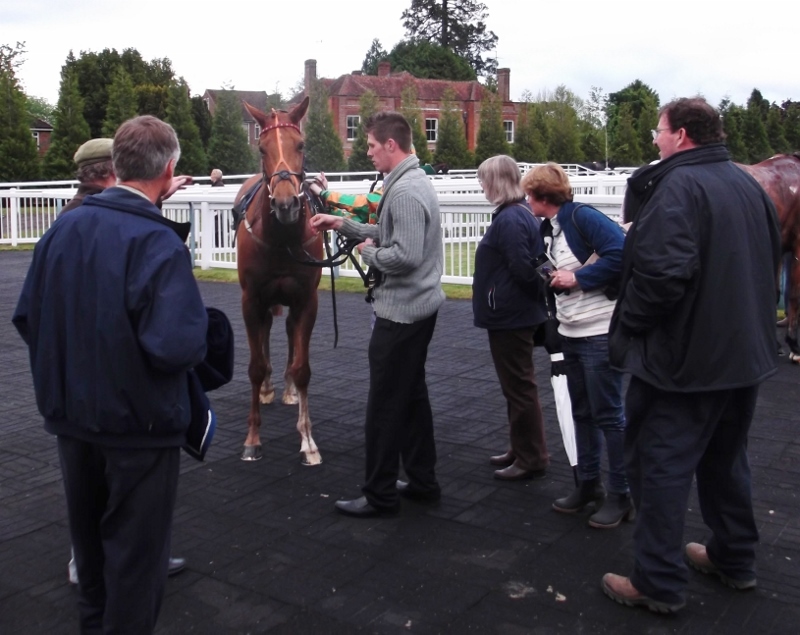 At the line he was two lengths clear, picking up just under £2000 for his owner. On this form a return to Southwell must be on the cards and an increase in distance would probably not inconvenience him. The sun came out, at last, at Lingfield today making pleasant conditions for training and a race. 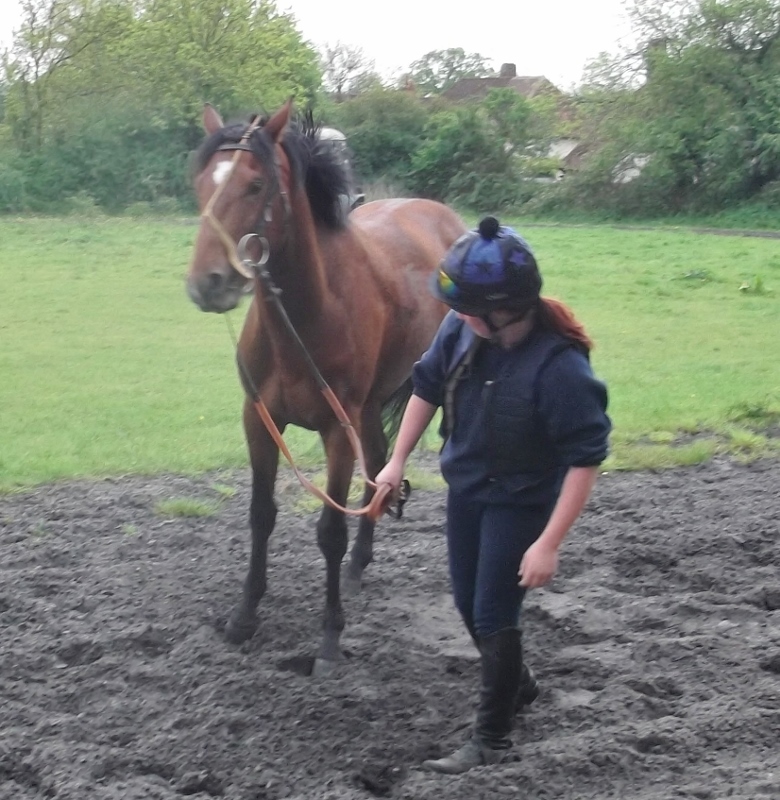 Before racing began, Karen gave Running Bull a racecourse gallop to bring him on. Then later in the afternoon Rowe Park raced over 5 furlongs. 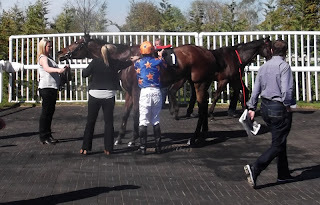 Although he was unplaced it was great being at the races in the sun.